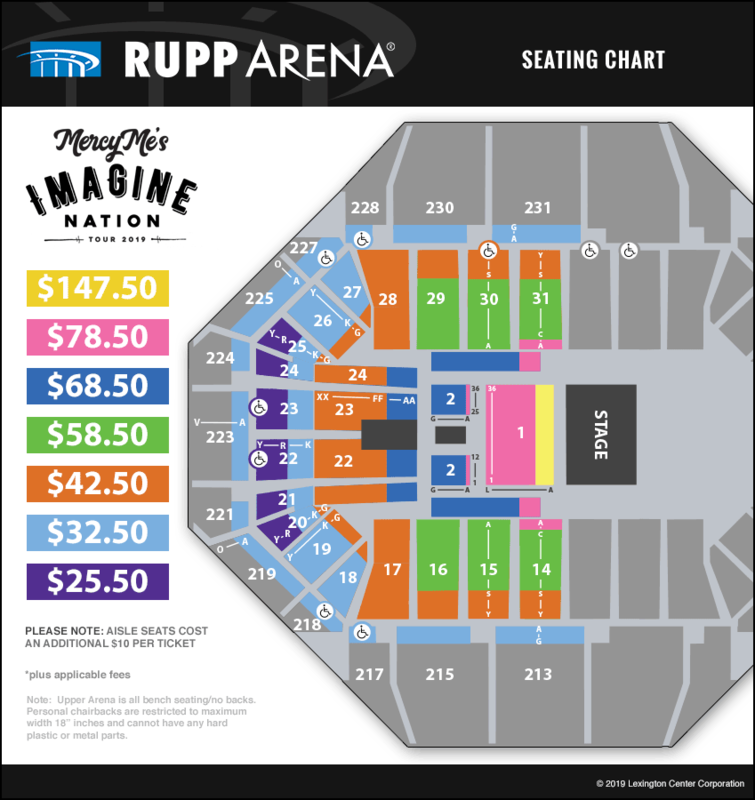 The award-winning MercyMe will bring a bevy of fan-favorite songs to Rupp Arena on April 25, 2019! Since their debut in 2001, GRAMMY® nominated, multiple American Music Award and Dove Award winners MercyMe have sold more than 9 million units in CD, single and DVD sales, garnered more than 57 No. 1 multi-format radio singles and four consecutive mainstream radio hits with “I Can Only Imagine,” (No. 4 AC/Top 25 on Top 40/Hot AC), “Here With Me” (No. 4 AC), “Homesick” (Top 10 AC) and “So Long Self.” MercyMe made history in 2014 as “I Can Only Imagine” surpassed 2 million digital downloads, making it the first song in Christian music to go platinum and double-platinum in the digital domain. The album containing the hit, Almost There, recently received triple platinum certification from the RIAA. In 2009, Billboard named MercyMe's "Word Of God Speak" the No. 1 Song of The Decade and the group the No. 1 Artist of the Decade in both the Christian Songs and Christian AC Songs categories, recognizing them as one of the industry's most notable talents. They have sold out venues throughout the US and Canada, including Radio City Music Hall, and have appeared on the Macy’s Thanksgiving Day Parade, The Today Show, CBS This Morning, FOX New Channel's FOX & Friends, CNN, ABC News and in the pages of Entertainment Weekly, The New York Times, USA Today and more. 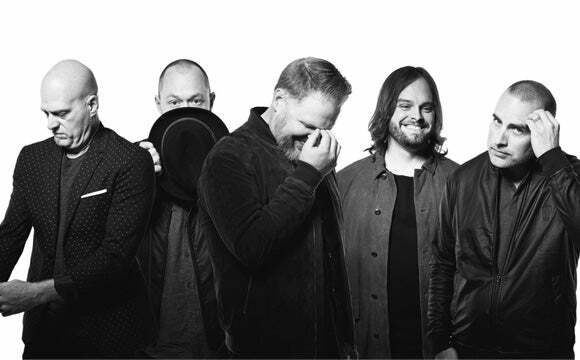 MercyMe’s eighth studio album, the RIAA Certified Gold Welcome To The New, garnered two GRAMMY® nods and four radio hits. LIFER, their latest chart-topping, GMA Dove Award winning and GRAMMY® nominated album, includes the RIAA certified gold, GRAMMY® nominated smash hit "Even If” which dominated the Billboard and Mediabase radio charts with a 19- week streak at No. 1.